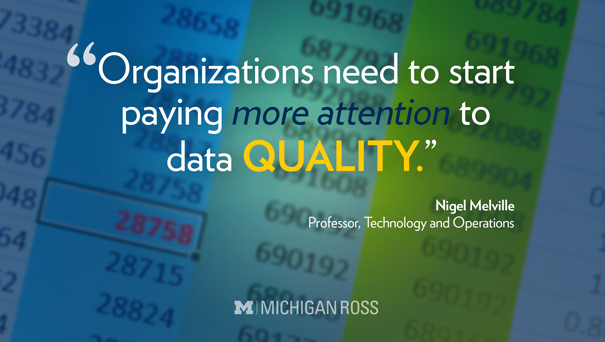 Nigel P. Melville is an associate professor of information systems at the Stephen M. Ross School of Business, University of Michigan. Professor Melville has over 20 years of experience researching, teaching, and consulting on the topic of organizational transformation enabled by digital information systems. His research has been published in leading academic and professional journals such as Information Systems Research, MIS Quarterly, Decision Support Systems, and Communications of the ACM and cited more than 5000 times. He is an editor of the book "Global E-Commerce: Impacts of National Environment and Policy" (Cambridge University Press, 2006). His engagement with organizations focuses on navigating digital transformation. Nigel P. Melville is a faculty member of the Stephen M. Ross School of Business, University of Michigan. Nigel has over 15 years of experience researching, teaching, and consulting in the area of value generation with information systems. His professional experience includes Motorola, IBM, Lawrence Berkeley Laboratory, and co-founding a software company focused on customer relationship management. His research has been published in premier journals such as MIS Quarterly, Information Systems Research, Decision Support Systems, and Communications of the ACM and is widely cited. He teaches courses on information systems for managers and service innovation management. Nigel earned a BS in electrical engineering from UCLA, an MS in electrical and computer engineering from UC Santa Barbara, and a PhD in management from UC Irvine. Melville, N., Saldanha, T., and Rush, D.
Seidel, S., Bharati, P., Fridgen, G., Watson, R., Albizri, A. Boudreau, M., Butler, T., Kruse, C., Guzman, I., Karsten, H., Lee, H.; Melville, N., Rush, D., Toland, J., and Watts, S.
Lim S., Saldanha T., Malladi S., and Melville N.
The Oxford Handbook of Business and the Natural Environment, (eds. ), Oxford: , p. 624. Findings by Professor Nigel Melville suggest that companies that focus on accuracy and incentives in carbon-reduction efforts are more likely to meet targets.